Will you soon be testing your 357 Magnum pistol’s mettle against that of the rugged buck? Then you ought to chamber a cartridge which behaves like a rifle’s would. 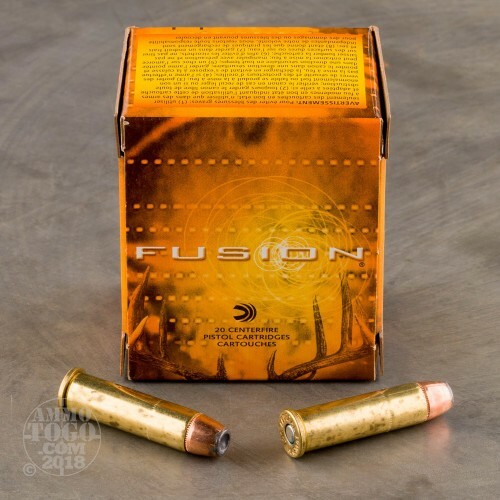 That’s precisely what this round from Federal’s Fusion Handgun line of ammunition offers -- its bullet’s weight and velocity are designed to kill a deer right where it stands without creating needless discomfort for the hunter. 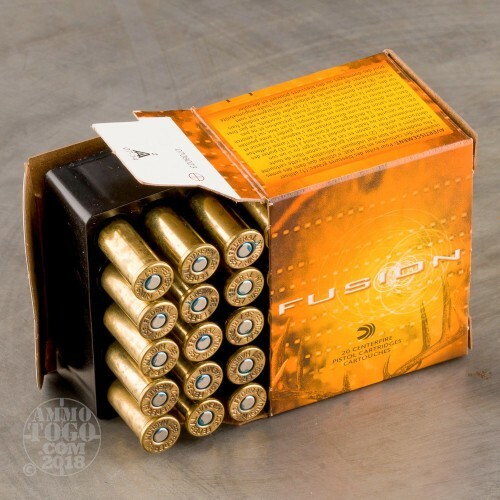 This cartridge bears a 158 grain soft point bullet, so it will warp and topple around during penetration to create a wide wound channel within game. 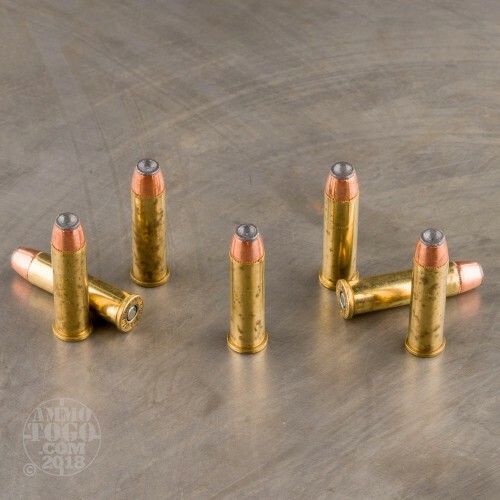 The bullet’s jacket has been electrochemically applied to its core, giving it the exceptional uniformity needed for straight flight as well as the ability to retain the vast majority of its weight as it penetrates a soft target. Furthermore, the bullet’s nose is skived in order to preprogram the fashion in which it reliably expands. 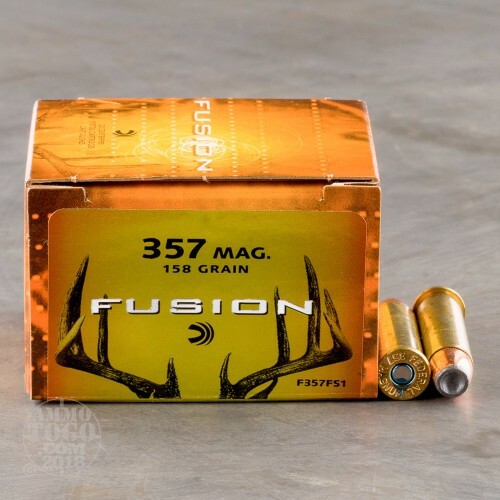 This all comes together to bring about unequivocally disastrous terminal performance, so hunting with a handgun will be a remarkably effective endeavor.